Rebecca Maclure is a grade 4 teacher in Pikangikum First Nation in Northern Ontario. Rebecca has twenty years’ experience in education and administration, including recently teaching the Ontario curriculum in a Canadian school in China. Rebecca completed a Bachelor of Science and Education and a Master of Arts (English Literature) through the University of Jabalpur. 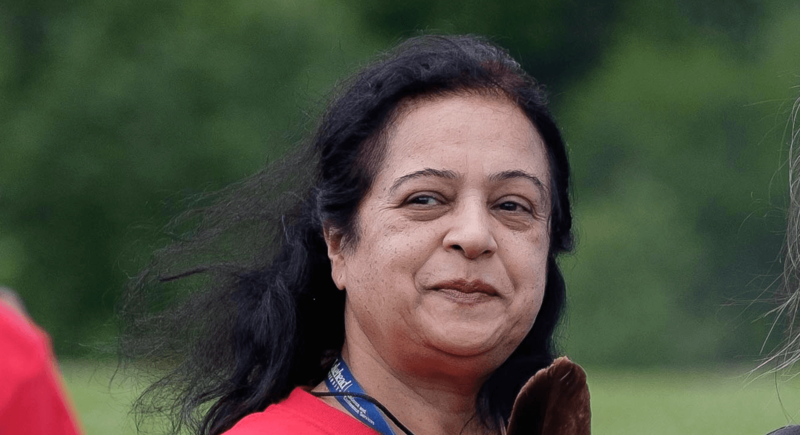 She has a Diploma in Counselling Skills from the International Career School and a Diploma in TESL from the Canadian College of Educators. She is originally from India. Rebecca Maclure is in her first year teaching grade 4 at Pikangikum First Nation in Northern Ontario. There are always challenges when you decide to pick up and move to a new place and a new context. 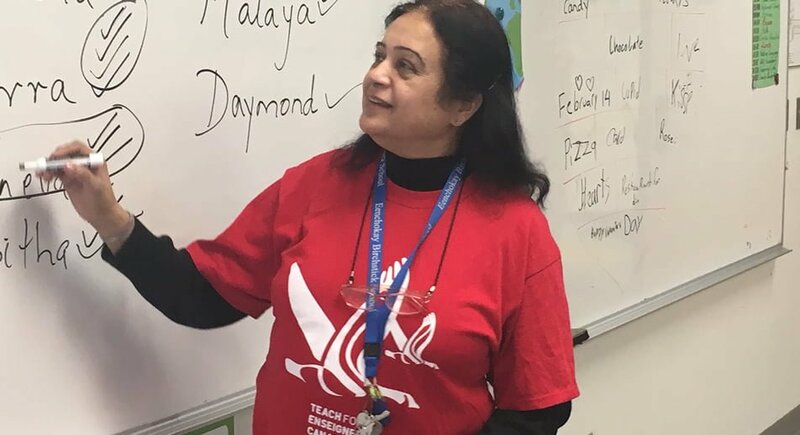 For Teach For Canada teacher Rebecca Maclure, those challenges were compounded by the fact that she didn’t simply move from a southern Canadian context to a northern Canadian context. Instead, Rebecca joined Teach For Canada on the heels of a teaching assignment in China. She left directly from China to attend the Summer Enrichment Program, and from there headed to the northwestern Ontario nation of Pikangikum. 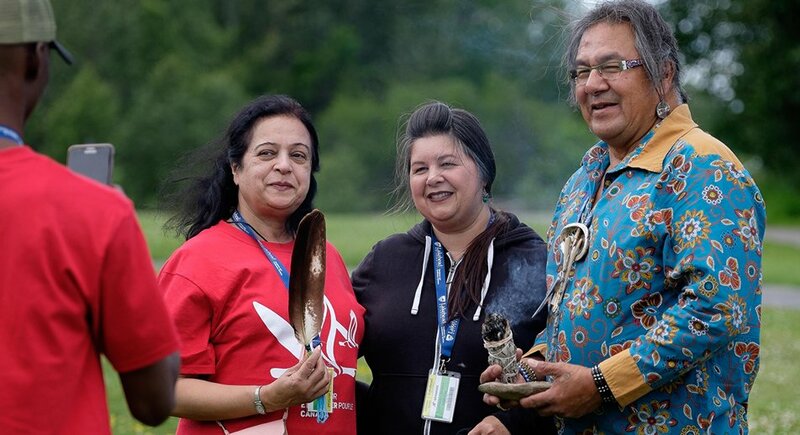 Rebecca (left) at the Summer Enrichment Program with Elders-in-residence Bernard and Tammy Nelson in July 2018. One challenge that teachers face when they move to the North is establishing a sense of community in a new place. For a seasoned traveller like Rebecca, it was natural to build that sense of community in her new home. After three years of teaching in China without her husband, Rebecca understood the need to make personal connections when moving to a new place. 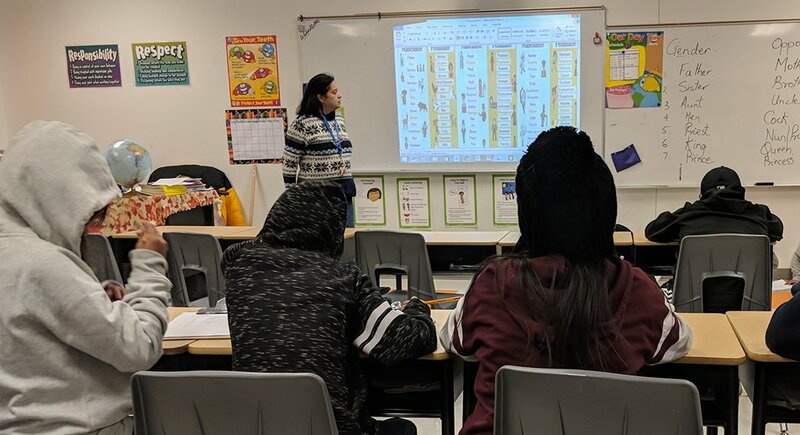 Rebecca teaching in her classroom in Pikangikum First Nation. Her husband, a petroleum engineer working out of Mississauga, would not be joining her on this adventure, so Rebecca quickly got to work building the supports and community that she needed in this new place. It certainly helped that she had made new friends at the Summer Enrichment Program before going to Pikangikum First Nation. 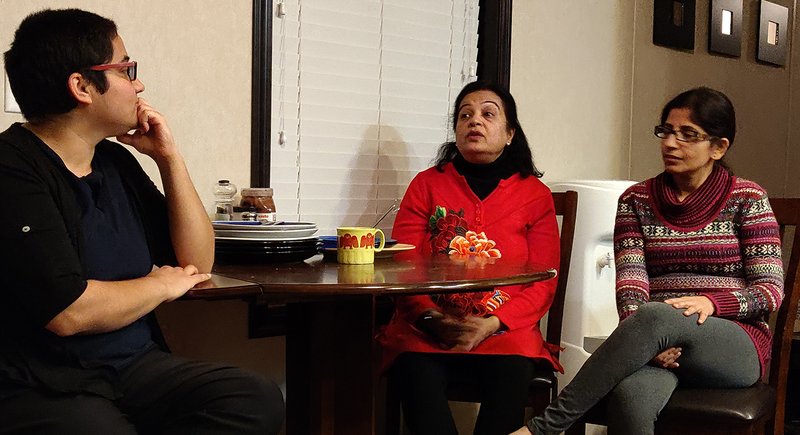 Rebecca (centre) spending time with fellow Teach For Canada teachers Rohini (left) and Bhavna (right) outside of school. On Friday nights, and often on other evenings as well, Rebecca and several other teachers get together to enjoy the food that they love. Rebecca is from India, as are some of the other teachers in Pikangikum First Nation. But their potluck dinners are not restricted to any one type of cuisine. At any given time they might share a dish of chana masala, or some of Rebecca’s famous spiced rice dish. 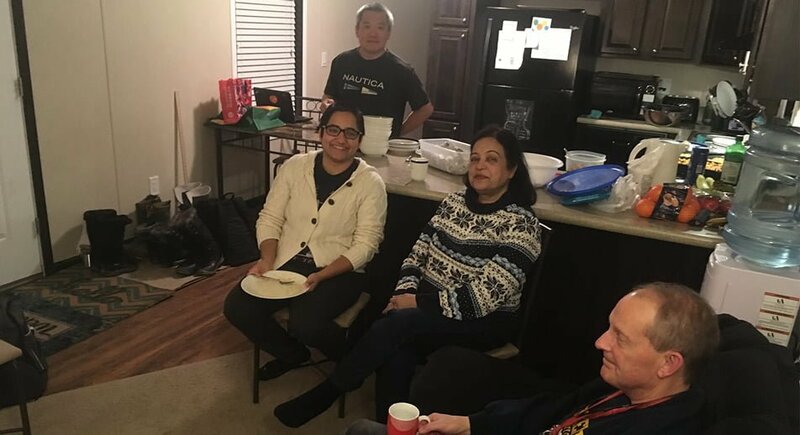 Rebecca (left) enjoying a potluck dinner with colleague Bhavna and a friend, along with visiting Teach For Canada team members. 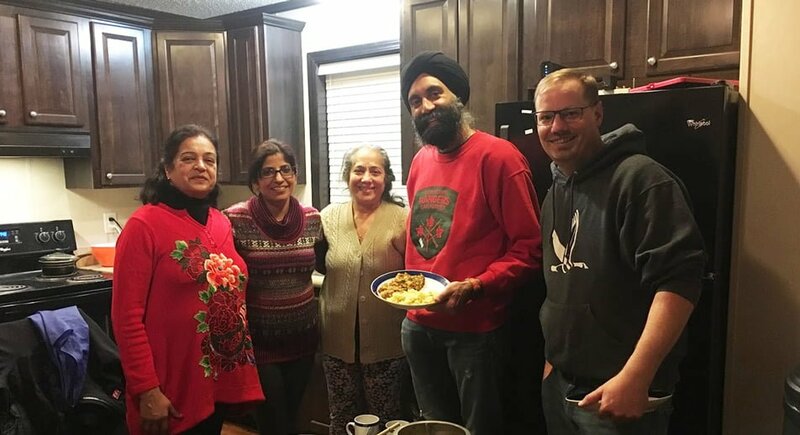 While they enjoy Indian food, they are just as likely to share Middle Eastern recipes or even Jamaican fare. As Rebecca said, “We just share dishes that we enjoy. Anything we know how to make. I was in the Middle East for a while, so I often make Middle Eastern dishes as well.” This gives Rebecca and others space to share not only their favourite dishes but also to network and discuss successes and challenges at work. These teachers have formed a bond that gives them an opportunity to talk about anything and everything that they deal with as teachers in the North. Organizing potluck dinners have been a simple, easy way for Rebecca to help build a sense of community. Community is important. Sharing the ups and downs that come from teaching in the North, or anywhere, is invaluable to teachers. But that community doesn’t just happen. It takes work to establish a healthy community of peers and friends that will support you during challenging times and celebrate your successes with you. Teach For Canada’s Teacher Development Managers like Dan MacDonald provide support and celebrate successes too. Rebecca and her co-workers have created that community in Pikangikum First Nation. A potluck is such a simple thing, but the benefits of creating this type of space and a community of others who share context can make a significant difference for everyone involved and becomes a weekly highlight. 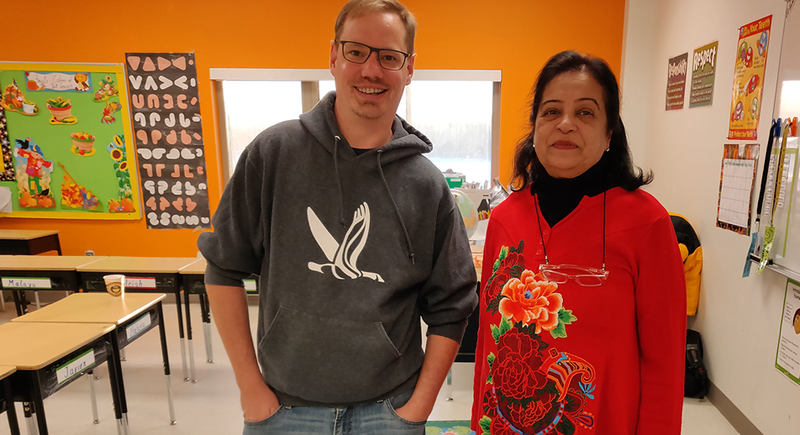 Too often teachers lack this type of connection outside of the workplace, but for the teachers in Pikangikum, there’s always a potluck coming soon.